What is the final design supposed to look like? 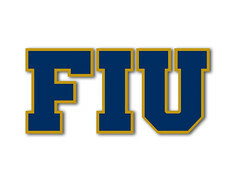 The FIU bridge has collapsed. Killing at least 1. How terrible. I hope and pray the number of fatalities and injuries is minimal. Praying for our community. Luckily it was Spring Break... Tragic. Horrible. Devastating. "MCM Construction and FIGG Bridge Design collaborated on the $14.2 million cable-supported bridge. Details about the bridge from a press release about its opening:- 174 feet long- Was put in place on March 10, 2018." What do you all think this means for the future of University City? The company that built it will have to pay for a new bridge at their expense obviously. We still have to figure out whether there was a design defect or a manufacturing defect in the bridge. What a tragic event. At least six lives were lost because of the collapse. Just an all-around awful situation.